This Wincest photo might contain mulch and cobertura morta. 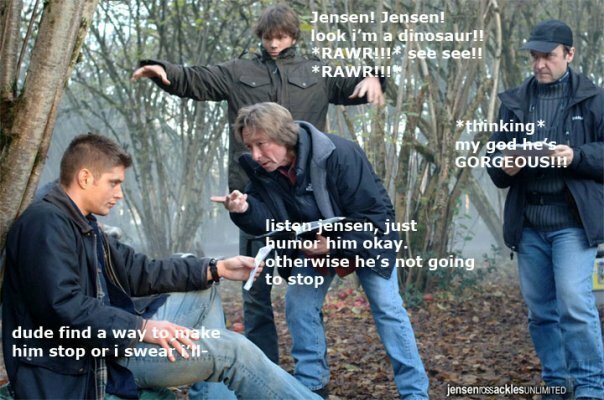 Lol I love Jared the dinosaur. And cute little Dean gettin all stressed out my him.